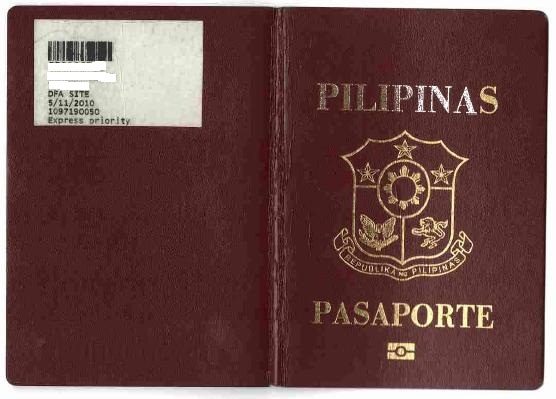 After attempting to file my 2nd OFW vacation leave twice last December 2012, finally and thankfully, it has been approved. Wasting the purchased plane tickets bought last promo fare from Cebu Pacific Airlines for Vietnam and Mainland China was indeed worthy. The image below shows the converted jpeg from pdf of calendar of events on my entire 16-days vacation journey. Most of this was in Republic of China with Philippines, my hometown, as my airport of origin. This vacation was among the expensive plane tickets purchased on my entire backpacking (leading by Egypt last October 2012 and India last May 2012). 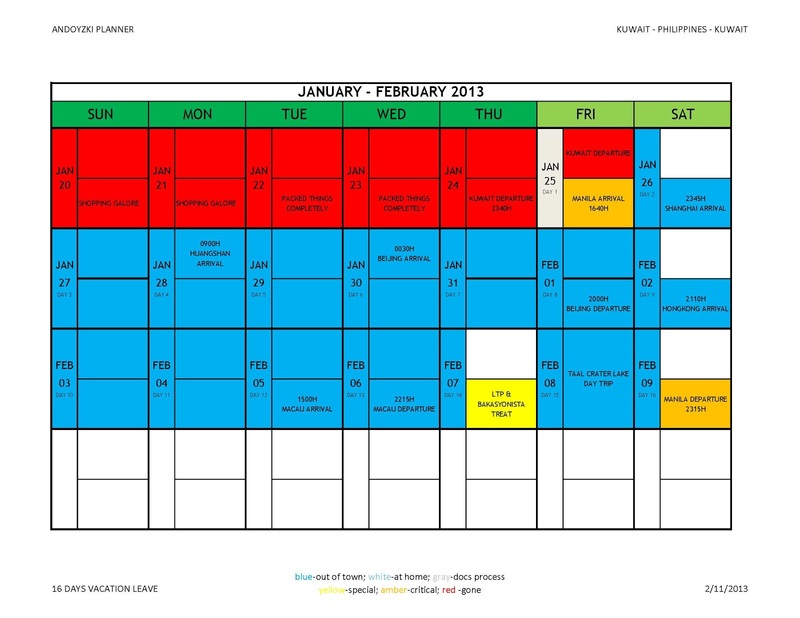 This was due to postponed vacation leave that was originally on 1st 2 weeks of December 2012, then planned again in last week of December 2012 to 1st week of January 2013 but not approved once more. In this regard the following plane tickets was wasted and forgot to re-booked because I thought promo fare tickets are non-rebookable. By the way, the trip to Mt. Taal crater was just planned only in a facebook conversation, informal but fortunately came true. To sum it up, an awful PhP31,258.05 = $781.45 was wasted due to unapproved vacation leave. Needless to say, travel addict indeed. Anyways, let's get-over on this drama and proceed to the 16-days chilling and thrilling vacation leave.